MEXICO CITY (AP) — Two small openings on both sides of a tree-covered path were packed with fans young and old, some with caps they wanted signed, others holding phones to capture the moment. They were screaming one word that translates in any language at the Mexico Championship. "I'm sure the energy will be up, people will be excited," Woods said Wednesday. "I think yesterday was a closed day, but there was a lot of people out there, a lot of members and a lot of kids that somehow didn't go to school. I'm sure it will be like that the rest of the week, and it will be a lot of fun for all of us." He said he idolized Woods and playing with him "will be something unforgettable." "Maybe," DeChambeau said with a grin. "It's more than just altitude. You could have an air pressure system that is like sea level coming through here and effectively change it. That's what I mean by that." "Isn't that going to fly over the green?" Johnson said. Poulter looked up and replied, "I don't carry the ball 370 yards in the air." "Tiger definitely moves the needle," said Benjamin Salinas, the CEO of TV Azteca and lead voice for Grupo Salinas at the Mexico Championship. "When he announced he was coming, ticket sales leaped tenfold. He moves Mexico." "This event goes a long way to showcasing what the possibilities are," Woods said. "After that, it's trying to get access, trying to get the kids. We can get them excited about the game, but it becomes problematic when the excitement doesn't really turn into participation." 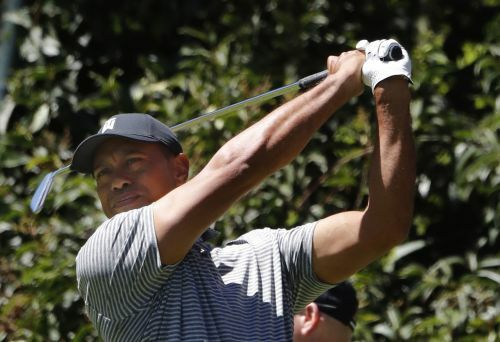 Woods hasn't play in altitude in 20 years, at Castle Pines outside Denver, so there are adjustments to make for the air and a new golf course to learn. Woods has a history of winning on courses familiar to him — 42 of his 80 victories on the PGA Tour have come on seven courses. But this World Golf Championship illustrates anew that at his best, Woods can win anywhere. He has won this event seven times on six courses — Valderrama in Spain (1999), Mount Juliet in Ireland, (2002), Capital City Club outside Atlanta (2003), Harding Park in San Francisco (2005), The Grove outside London (2006) and twice at Doral near Miami (2007, 2013).